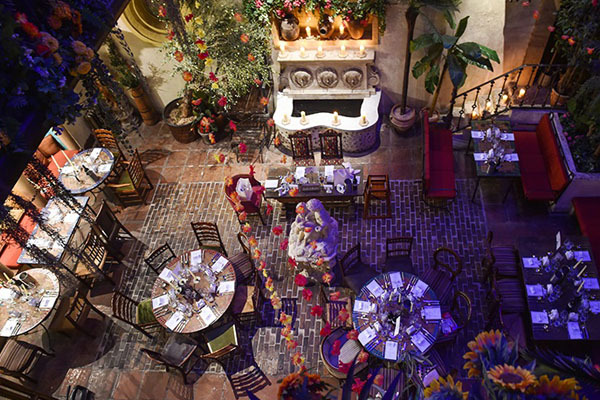 Host your personal or corporate private event in Spanish Style! Formerly Glasgow’s Cheese Market, Arta is set over 3 floors which play host to 5 private dining or events spaces. These range from our intimate, authentic Spanish comedor, seating up to 20 guests to our largest space, Canvas, which lends itself for up to 100 guests seated for a special occasion. We have 2 options available for private dining; 3 Course Set Menu or Spanish Dining Experience. Our set menu is changed on monthly basis, please refer to sample set menu below. Alternatively, for a more authentic evening our Spanish Dining option consists of a 32-inch paella served with a selection of Spanish dishes, family style for you and your guests to share.